Kim Zolciak has revealed heartbreaking news about her four-year-old son Kash. The former The Real Housewives of Atlanta star took to Instagram on Sunday, April 23, to reveal that Kash had to undergo emergency surgery after he was bitten by a dog over the weekend. Zolciak made the announcement by posting a photo of her husband Kroy Biermann holding Kash's hand while the little boy was lying in a hospital bed covered by a blanket. "I don't know where to start. The last 14hrs of our lives has been a living nightmare," Zolciak, 38, captioned the sad image of her son. "My sweet @kashbiermann was bit by a dog and had very traumatic injuries. I've never prayed so hard, or been so scared in my life. 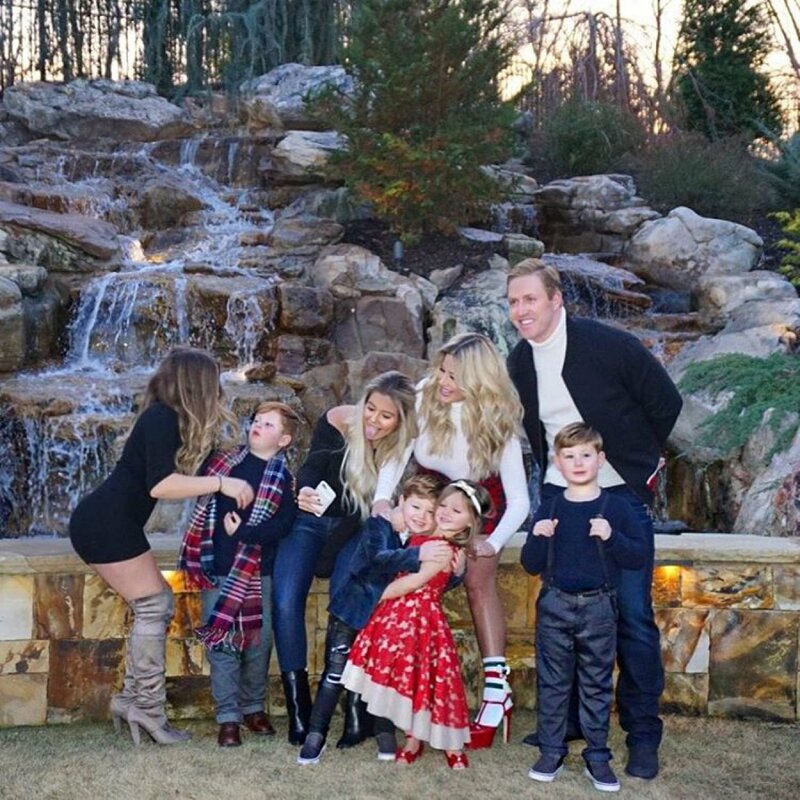 My husband [Kroy Biermann], our daughters, Kj, Tracey, his nanny, Michael Beck and everyone close to us all pulled together and held each other up." Zolciak continued, "Kash was in the operating room for a couple hours and now we are praying for a quick speedy recovery." Due to the incident, Zolciak canceled a Sunday night appearance on Watch What Happens Live with Andy Cohen. "I'll do my best to make it up very soon! Thank you for all your prayers and most importantly Thank you God for your protection," Zolciak additionally wrote. "A very special Thank you to my incredible medical team! A few days in the hospital and we will be back home." Zolciak is also mom to Brielle, 20; Ariana, 15; Kroy, 5; and twins Kane and Kaia, 3. Zolciak appeared on the first five seasons of The Real Housewives of Atlanta but never returned. She went on to star in her own Don't Be Tardy family spinoff, which wrapped its fifth season late last year. The blonde beauty also competed on Season 21 of Dancing with the Stars, however, she was forced to withdraw from the competition because she missed a performance show as a result of suffering a mini-stroke in late 2015. Zolciak was paired with pro Tony Dovolani for that season.